AP E-Pass Scholarship Application Status Check Online 2015-16 Andhra Pradesh epass fee reimbursement scheme is a revolution of Indian education system. Before this, only high class and middle-class people studied Bachelor of Technology B.TECH, MBA and MCA and they only get jobs because shortage qualified people in industry. But now we are all educated in higher level. Lots creative thoughts raise while studying these professional courses. 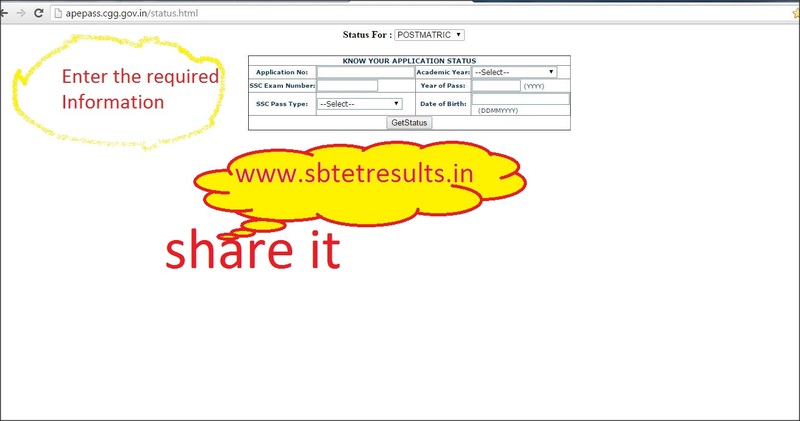 Eligible Students for ePass:The students belonging to SC and ST category whose annual parental income is less than two lakh rupees are eligible.Backward Caste, EBC and Disabled students whose parental income is less than one lakh rupees are eligible.The students must have at least 75% of attendance at the end of each quarter to apply for this scholarship.The student must be studying in any post matric college inAndhra Pradesh which is recognized by the government. 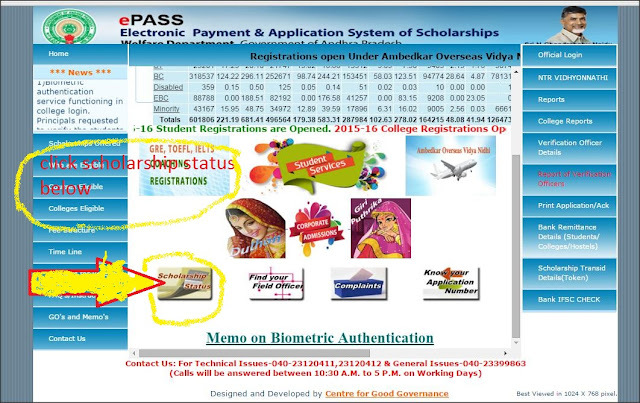 How to Check AP Epass Scholar Status 2015? 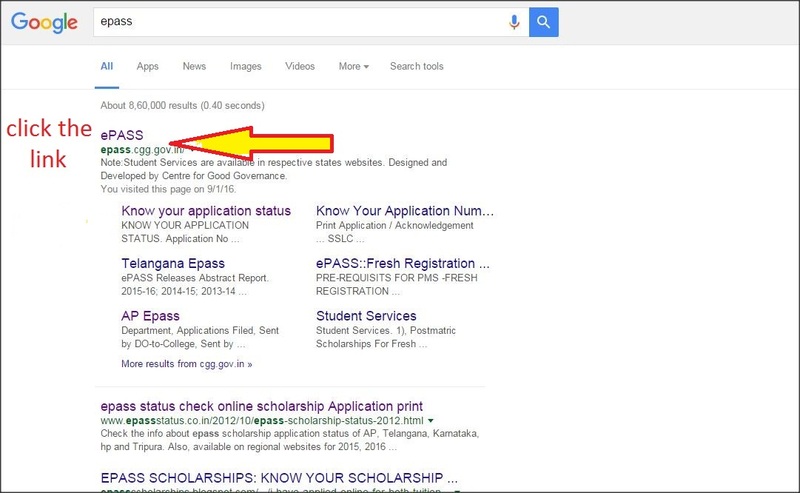 Click on the scholar ship status. By Default Status for post Matric will be selected .You can change it to Post or Pre Matric. 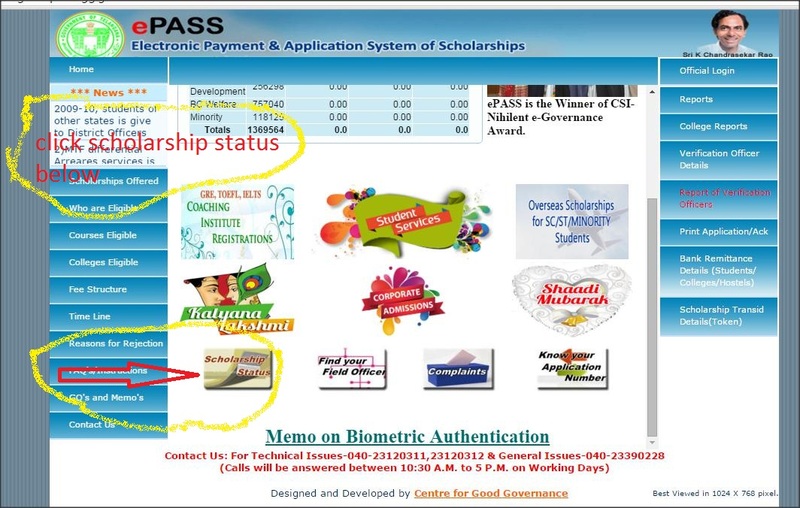 Enter Application number number(Application number of Epass). 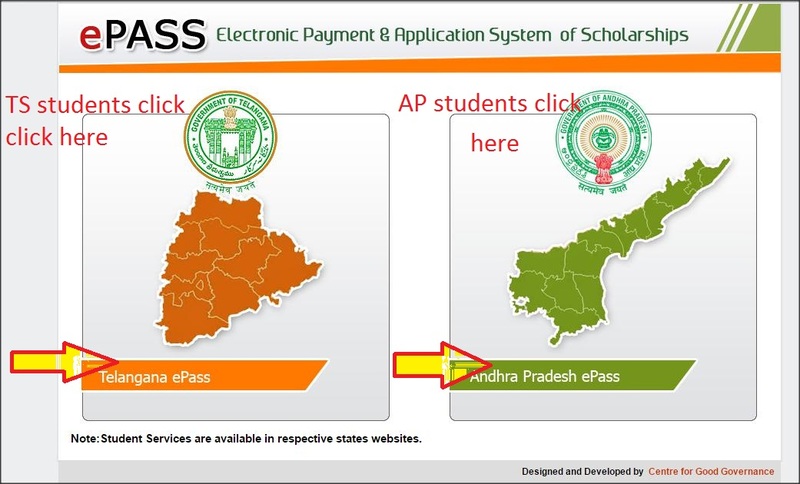 AP Supplementary, Other board [any equivalent boards], CBSE, ICSE, Open university,AP Open schools, Oriental SSC. Then status of the Scholarship will be made available on the screen.